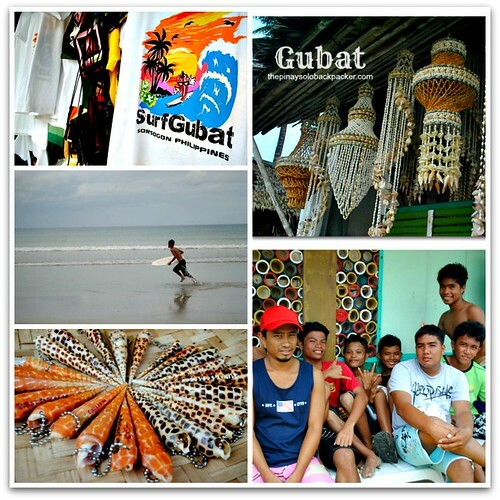 The surf season is near, so go pack your rash guard and swimwear and head over to Gubat in Sorsogon province! This unassuming town is a timeless favorite, but it was only last 2012 when I learned that surfing in Gubat is already on the rise. 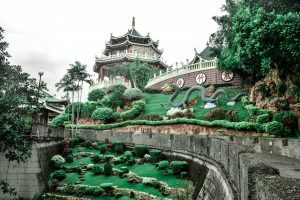 Discover its rich history backed up by archeological excavations in the villages of Jupi, Tigkiw, Bulacao and Arima where artifacts such as ancient jars, primitive stone tools, and burial sites where unearthed. 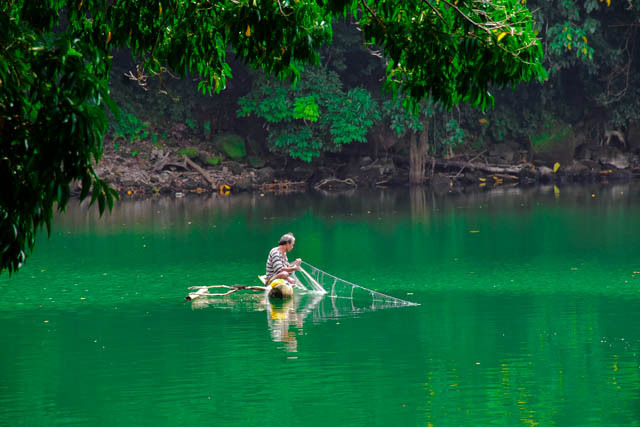 Bask in Gubat’s treasures, from vast pastoral grounds, evergreen rice fields to lush jungles. 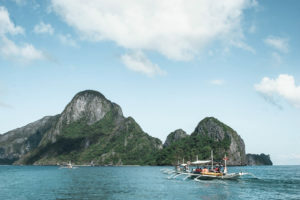 Nab a spot for picnic and frolic in the palm-fringed shores and turquoise waters of Brgy. Rizal. 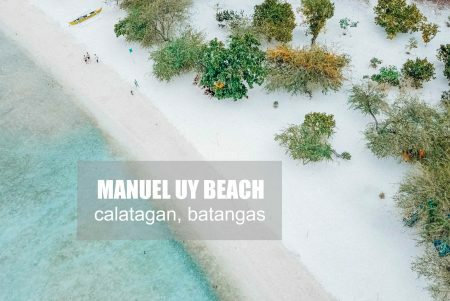 The spectacular long strip of Rizal Beach is hemmed by a handful of resorts and cottages but remains blissfully far from the tedious trappings of commercialism. 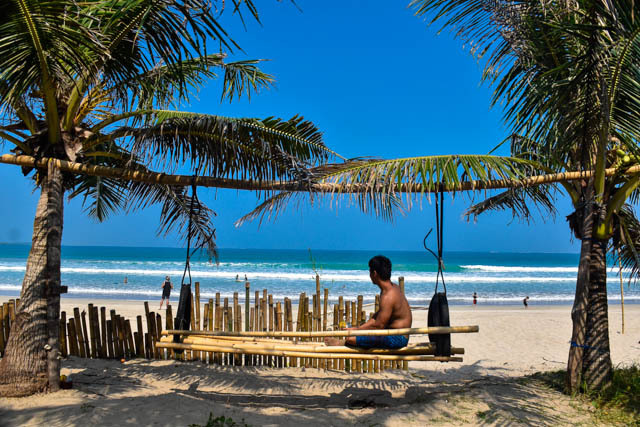 If you want to explore the local’s way of life, walk further to the secluded part of the beach and you might catch some locals fishing or picking shells washed ashore. 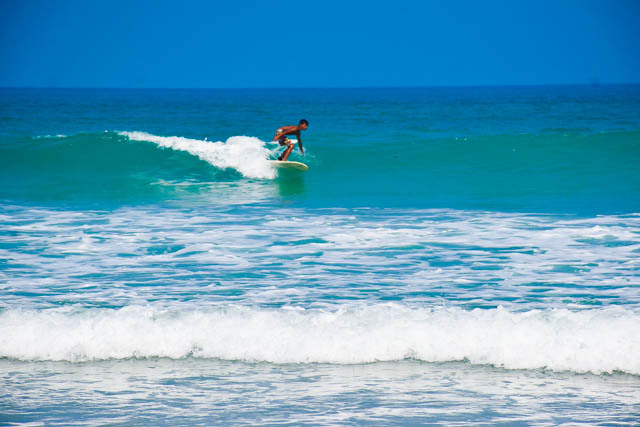 For a change of scenery, head to Lola Sayong Eco-surf Camp, grab a surfboard and ride the waves. The birth of surfing in Gubat originated at Breeding in Buenavista village, an old breeding site of the Department of Agriculture and now known as Nico’s Reef. Over the years, the locals have been mum about this reef break until it was eventually exposed to outsiders. Other reef breaks here are located in Panganiban, Pinontingan, and Rizal. Our friend Em Balabat, a local of Gubat introduced me to a group of local teenagers and young surfers from Buenavista Beach. “For a minimal fee of Php 350 you’ll get to enjoy surfing for an hour inclusive of surf board and your own instructor”, says Noli Mercader, a surfer from Gubat. 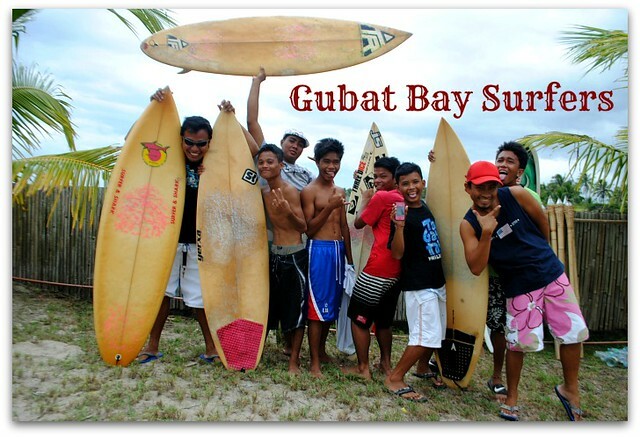 The surf break in Gubat’s beaches produce consistent waves year round with the major swell season starting in October to March. Lastly, do not go home without trying the fresh seafood and local delicacies of Gubat. It’s a sin not to try its tasty and affordable alimango (alimango), pawik (spanner crabs), cupapa (slipper lobster), prawns, and shrimps! Take home the famed Bicol food called pinangat, available at Bigajo Kitchenette, The House of Pinangat and other native delicacies such as timitim (cassava cake) and the famous pili nut. Nearest airport is located in Legazpi city. From there, take a bus bound for Sorsogon City and look for jeepneys en route to Gubat. From Manila you can also take a bus bound for Gubat. Travel time is roughly 12 hours. If coming from Visayas, nearest port is Matnog. Ride a bus bound for either Legazpi or Manila and ask the driver to drop you in Abuyog. Alternatively, from Matnog, you can also take a jeep bound to Sorsogon and get off in Abuyog. From Abuyog, hail a jeep headed to Gubat. At Gubat town proper, you can take a tricycle for about Php 30 (goodd for 4 people) to take you to Lola Sayong Surf Camp. Or ride a jeep en route to Bulusan, tell the driver to drop you off at Lola Sayong Surf Camp. Fare is around Php 10. 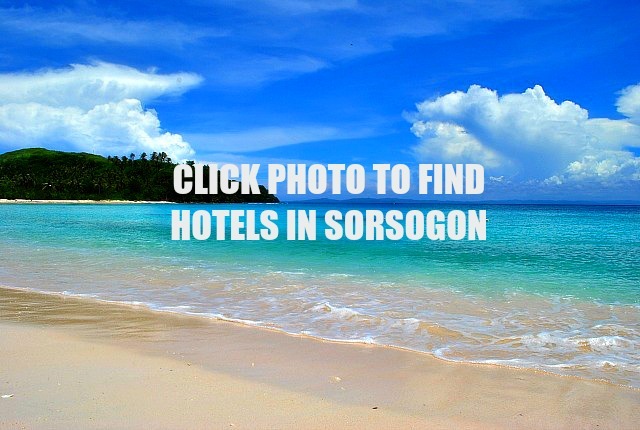 Where to Stay in Gubat, Sorsogon? There are some hotels in Rizal Beach, you can check the rates and book by clicking the photo below. For surfers, you can try Lola Sayong Surf Camp. 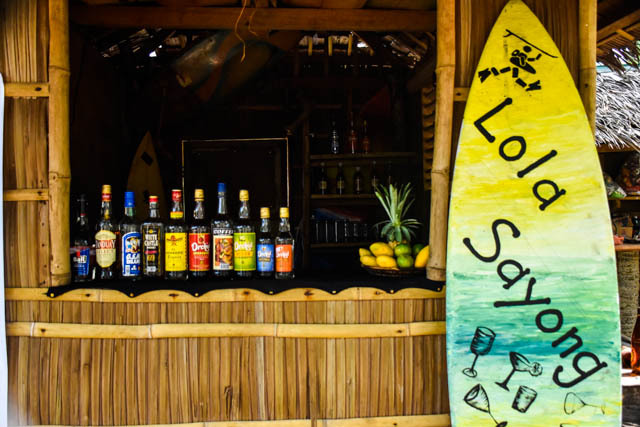 The newly-opened modest bar at Lola Sayong surf camp serves affordable cocktails. closed cottage rate: Fan room with common C.R – Php 800, good for 4 pax, with breakfast. I am from Gubat, Sorsogon but I reside in Makati. Spent my childhood there until I left in the 70s for my studies in Manila and eventually, my family relocated in the city. I spent my happiest childhood and to puberty in my town enjoying most of the places where you mentioned in your blog. I loved to swim at Dankalan beach and it was there that I learned how to swim. Surfing was a word unheard before as I knew that it was only in Hawaii or anywhere that surfing was so popular. I did not know how surfing came or started in our town.I knew back then that big waves really hit the shores of Buenavista and we really feared of swimming in the area because of the strong undertow of current. There were swimmers who perished in the area and it was off limits to the public.Now it is so popular that surfers are coming to our town. I really enjoyed your post and noticed how you take colorful and beautiful pictures.Thanks for visiting our town! Ooooh, another great surfing destination aside from Siargao and Lanuza. We will definitely visit here. Do they offer windsurfing as well? No po, surfing lang tlga. Have fun! Hi Gael, madali lang ba matuto magsurfing? Try ko din yan definetel!. Thanks for the info. Malapit lang ba ang bus terminal sa Legazpi airport? 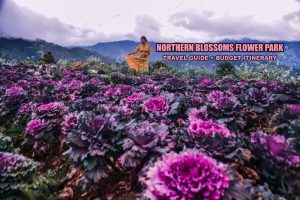 Paano bumalik to Legazpi from Sorsogon? Nope. You can take a tricycle from the airport. Fare is Php 50. Sa Sorsogon City Terminal you can ride a bus to Legazpi.